When it comes to guilt-free food, our home cook, Wyatt Tan, certainly knows it all. As a true fitspo, he dedicates much of his time into coming out with guilt-free recipes with the direction of achieving low carbs, sugar, fat while enriching it with high protein, calcium and all the good vitamins and minerals. So Share Food throw him the challenge of creating a PPAP dish, and what we got here? Wyatt never fail to disappoint. He came out with a Korea inspired brown rice burger with caramelized pineapple and apple while adding in the juicy bulgogi beef. This is a really creative, tasty and healthy burger and truly fit our PPAP theme this week! We got the PINEAPPLE, APPLE and the PAN!! 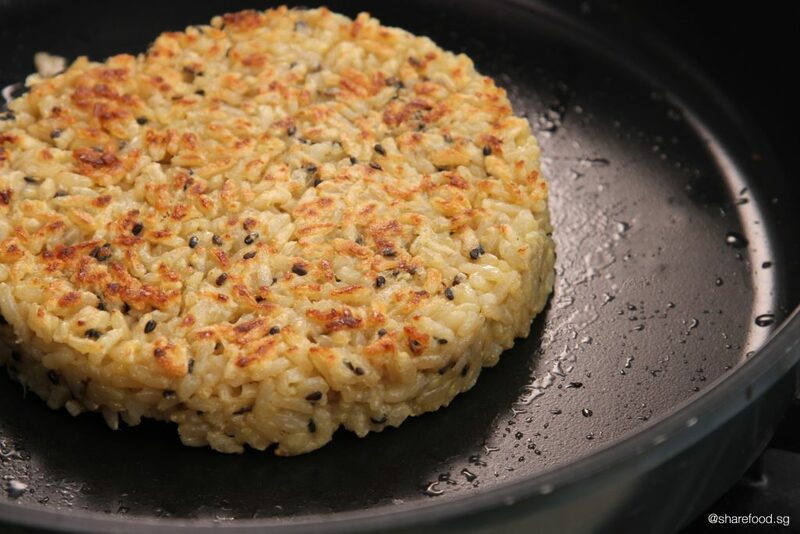 Try our Fusion Pineapple Apple Rice Burger recipe or you'll regret it! When it comes to guilt-free food, our home cook, Wyatt Tan, certainly knows it all. He came out with a Korea inspired brown rice burger with caramelized pineapple and apple while adding in the juicy bulgogi beef. 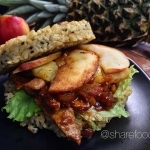 This is a really creative, tasty and healthy burger and truly fit our PPAP theme this week!